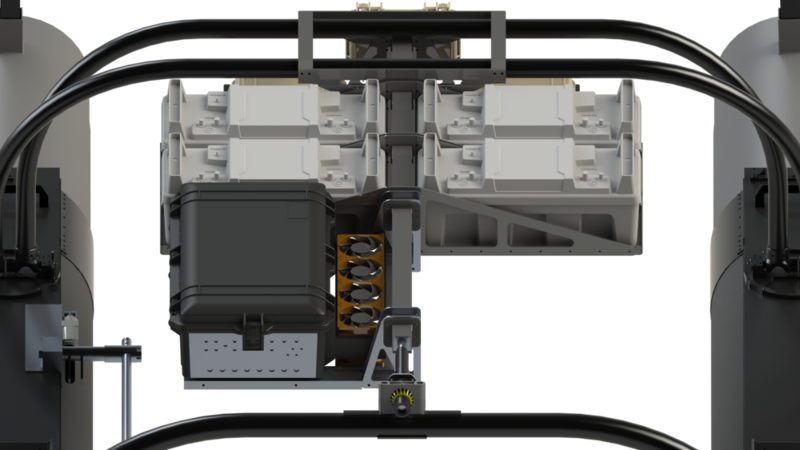 The Minion ASV utitilizes custom-design and -fabricated fiberglass motor-pods. Below them sit our propulsion system: RDPs, or Rim Driven Propellers. These are a special type of marine electric motor in which a brushless motor is built around the propeller. This eliminates the shaft, mitigates the risk of snagging and provides an increased level of efficiency. The RDPs on Minion are driven by MARC, a custom built motor controller designed by the Minion team. The hardware of the Minion perception suite is responsible for detecting and characterizing waterborne objects. Primary sensing is provided by four Lidar sensors providing up to 1.6 million data points per second. The location and orientation of these sensors optimizes return density on objects to the port, stern and bow of Minion. Lidar data is fused with imagery from two 100-degree field-of-view, 5MP cameras for improved object detection and characterization. The RobotX subvehicle, Lackey, is based on the SWASH (Small Waterplane Area Single Hull) concept, and is able to operate with minimal interaction with the water surface, resulting in a more stable sensing platform. Measuring 29 inches long by 4.8 inches in diameter the hydrodynamically tailored hull offers both minimal drag, and high maneuverability without sacrificing internal usable volume. The mast adds stability and allows for sensors to have a clear view of the sky for both GPS based sensing and normal RF based communications. 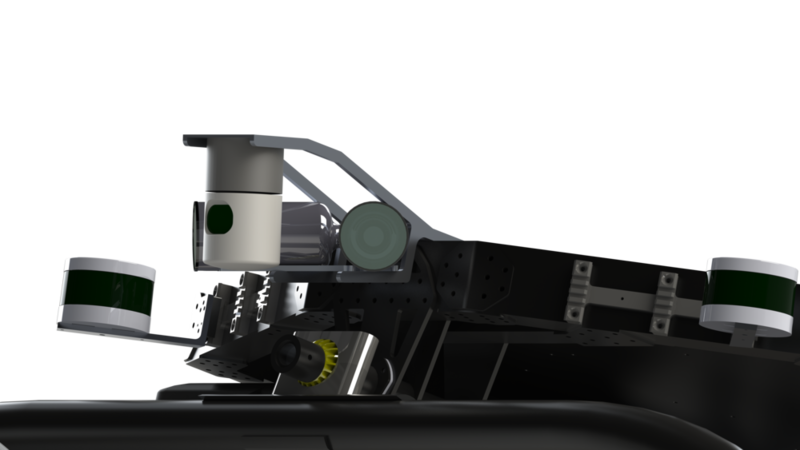 Lackey features a 3D-printed hull, an onboard downward facing color camera and high intensity illuminator, as well as a fully featured IMU/Magnetometer combination, single board computer and Wi-Fi based data links. 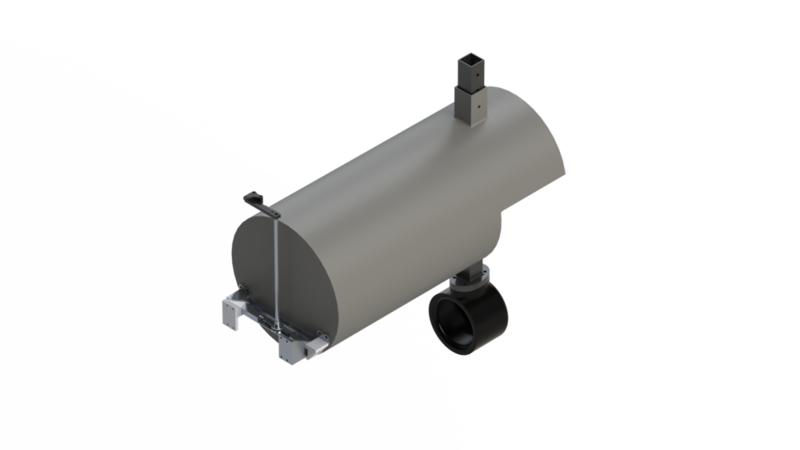 Bodyguard is a pneumatic racquetball delivery system designed to complete the detect and deliver task of the maritime robotx competition. Bodyguard features an actively stabilized gimbal system which keeps the launcher pointed at its intended target in even the roughest of seas. Bodyguard incorporates a pneumatic reloading mechanism which allows rapid reloading and subsequent deployment of racquetballs at the target allowing more time for later tasks.